Recently Microsoft has released official Service Pack 1 for Windows 7. I have covered a tutorial to update Windows 7 to Service Pack 1, soon after the update I faced a major problem, the disk space got really low. 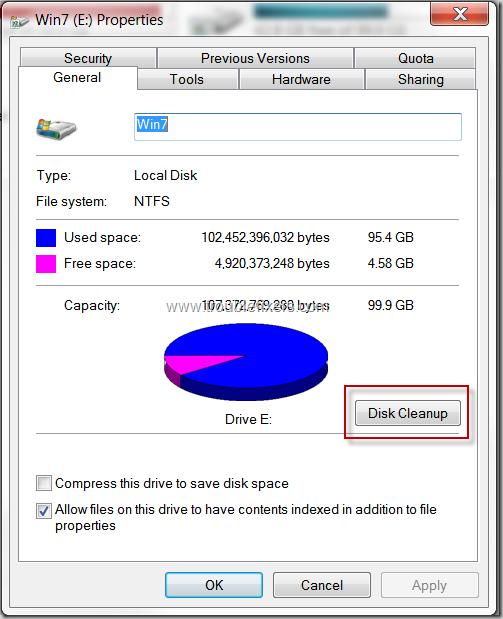 You may or may not face the same problem depending on how much free disk space you have got on your Hard disk partition containing Windows 7 installation. In my case, I had about 6GB of free space prior to SP1 update. After the installation, the free space reduced to about 4 GB. If you are already running on low disk space, additional loss of 2GB means a lot of disk space to loose. 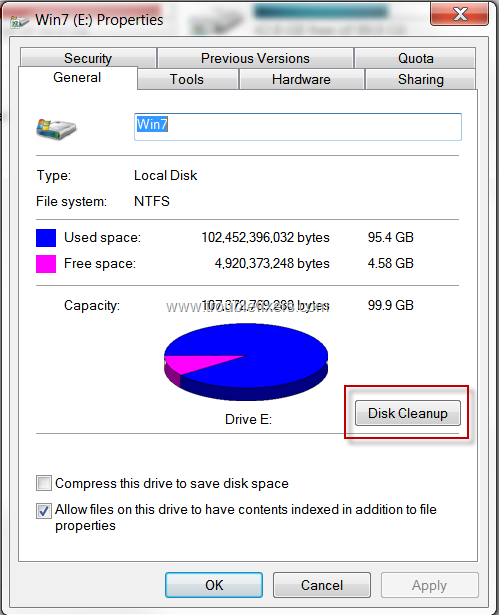 In this post, I will show you how to free a considerable disk space after Windows 7 Service pack 1 install. Installing Windows 7 Service pack leaves behind a lot of log and installation files and logs which maybe used in future to remove or uninstall Windows Service Pack. However, if you are not facing any problems after installing the service pack, you can safely remove the service pack backup files as you may not need to remove the service pack backup and temporary files. 1. Right click on the operating system drive (in most cases its c drive partition) on which Windows 7 is installed. 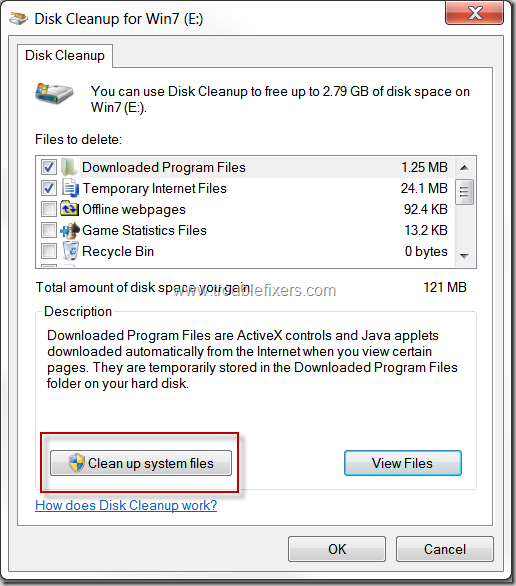 Click Properties and on General tab, click on the Disk Cleanup Button. 2. 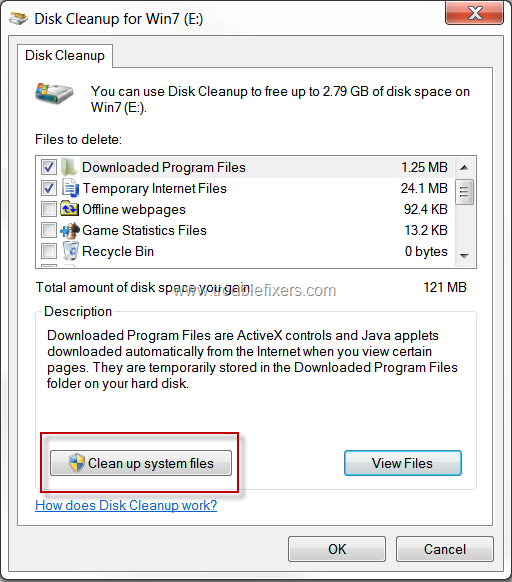 On Disk Cleanup Window, click on the option “Clean up system files”. 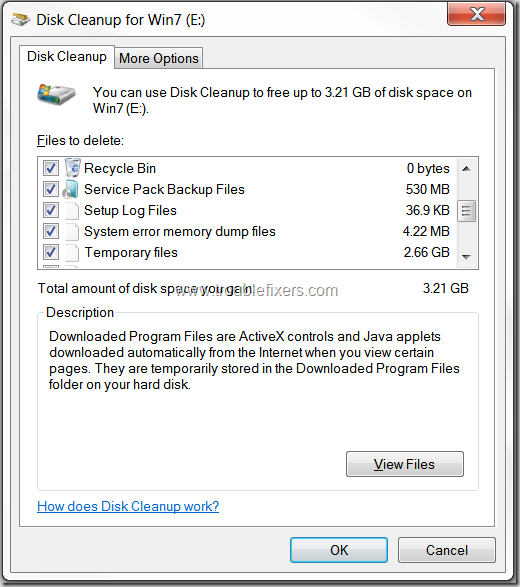 Doing this will calculate and include all options, temp files and Service pack backups in the disk cleanup options. This is it, after you confirm to delete files, Disk Cleanup will proceed and free up the disk space for you in a few minutes. Below is snapshot of my drive partition after Disk cleanup. 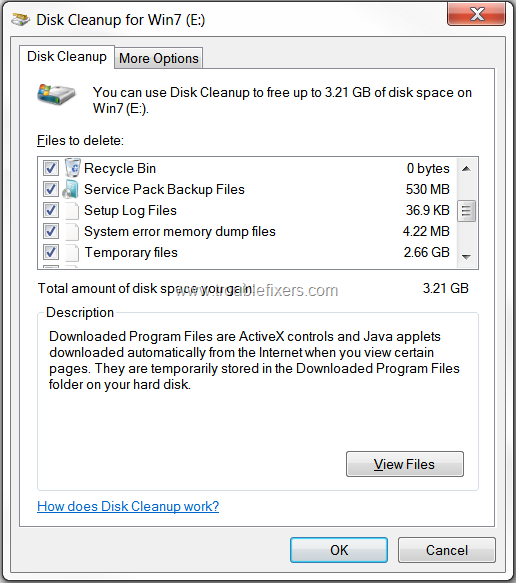 By running this cleanup, I could reclaim about 2 GB space, you may also reclaim some space which maybe less or depending on total size of the files (temp files or other no more usable files) which can be removed by disk cleanup.